Mitsubishi Motors Thailand (Co., Ltd.) ended 2018 on a highly positive note, exceeding projections and targets as well as outgrowing the industry. The automaker posted a total of 84,560 units in domestic sales, a 21.3-percent growth year-on-year. In comparison, the automotive market grew 19.5 percent with a total industry volume (TIV) of 1,041,739 units. Consequently, Mitsubishi Motors Thailand’s market share also grew to 8.1 percent. Mitsubishi Triton accounted for 47 percent (39,984 units) of Mitsubishi Motors Thailand’s total sales, while the city cars Mitsubishi Attrage and Mitsubishi Mirage constituted 31 percent (26,085 units). Mitsubishi Pajero Sport took up 15 percent (12,982 units) of the company’s volume. It was recently ranked highest in the J.D. 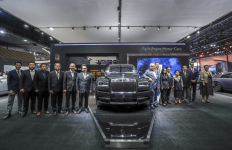 Power 2018 Thailand Initial Quality Study (IQS) in the large-SUV segment. And the recently-launched Mitsubishi Pajero Sport Elite Edition received nearly 2,000 bookings in just 2 months (from the start of the Motor Expo 2018 to the end of January 2019). Meanwhile, All New Mitsubishi XPANDER, the new crossover also got off to an encouraging start, taking up 7 percent (5,509 units) of Mitsubishi Motors Thailand’s domestic volume. “We can attribute our success in 2018 to various factors. They include providing our customers with the most fully-equipped, technologically-advanced, driving performance, safety, and fun to drive vehicles with progressive design,” Mr. Morikazu Chokki, President and CEO, Mitsubishi Motors (Thailand) Co., Ltd. said during a recent meet-the-press session. “The process of providing our customers with the best products starts with our own people. To achieve this, we have launched various programs in 2018 to enhance our people and raise their performance level so our customers get the best products and services. This is backed by marketing activities that have resonated consistently effective with our target audiences,” Mr. Chokki added. Mr. Chokki also attributed Mitsubishi Motors Thailand’s success to heightened customer satisfaction from improvements in hardware including new showroom designs. Soft skills, such as dealer service and operations, have also been successfully implemented. Another success factor is the launch of 9 models including All New XPANDER, New Triton, New Attrage, New Mirage, New Pajero Sport, New Mirage Limited Edition, New Attrage Limited Edition, Triton Athlete Mega Cab, and New Pajero Sport Elite Edition. Fueling the success is also Mitsubishi Motors’ progressive global design language. The advanced ‘Dynamic Shield’ is incorporated into the latest models. As a consequence of incorporating safety considerations and features into the vehicles’ overall design, the latest range of Mitsubishi Motors vehicles are clearly a notch above its peers in terms of aesthetics. Easily identifiable, advanced ‘Dynamic Shield’ manifests itself in design cues, angular, bold lines, forming a front-end that encompasses protection, performance and aesthetics in a single design execution. “We take care, you just drive” (Rao Doo Lae, Khun Kae Kub) has become the latest much-loved slogan among Mitsubishi car owns. This reflects Mitsubishi Motors Thailand’s commitment to customer satisfaction. “We take care, you just drive” is built upon a core of ‘genuineness’ supported by five key pillars. Genuine Network and Accessibility: ‘M-Drive’, the friendly mobile application offering easy access to services provided by Mitsubishi Motors Thailand’s dealer network nationwide. 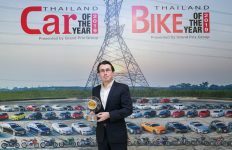 Such an effort in enhancing customer experiences has resulted in Mitsubishi Motors Thailand’s service satisfaction ranking significantly improvement over the past four years. Currently, the company is ranked the 2nd in Customer Service Index (CSI), and the 4th in Sales Satisfaction Index (SSI) by J.D. Power 2018 Thailand studies. On exports, Mitsubishi Motors Thailand grew 4.2 percent year-on-year with combined Built-Up (BU) and Knocked-Down (KD) volumes totaling 347,000 units, surpassing earlier projection. Supporting sister plants in Indonesia, Philippines, Russia and Brazil, BU units was steady but was propped up by a massive 37-percent growth in KD volume. In terms of production, Mitsubishi Motors Thailand registered a significant 11.2-percent growth year-on-year, building 444,000 vehicles. In 2019, Mitsubishi Motors Thailand will continue to focus on growing market share, bolstered by full-year sales of New Triton, All New XPANDER and 7 new models in pipeline. Mitsubishi Motors Thailand will also continue to focus on the 3 key success factors including great products, network re-engineering and customer focus, and people development to enhance customer satisfaction through our 223 outlets nationwide which will also be upgraded with new identity by the end of 2021. 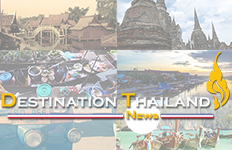 Despite of the outlook portraying flat growth of total industry volume in 2019, Mitsubishi Motors Thailand remains the confidence in Thailand’s potential for domestic growth and its way forward. Thailand has the largest Mitsubishi Motors operation outside Japan with production capacity accounted for nearly 30 percent of Mitsubishi Motors’ global production volume. It is also recognized for the key to Mitsubishi Motors’ growth in ASEAN region as well as globally. 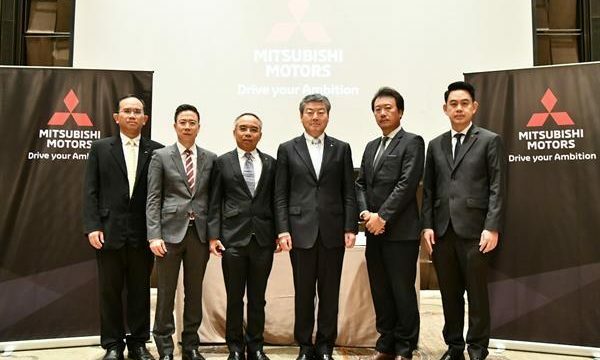 Mitsubishi Motors Thailand set its eyes on gaining more than 10-percent market share in mid-term future on the strength of product quality, dealer network, customer satisfaction, and leadership in electrification technologies. 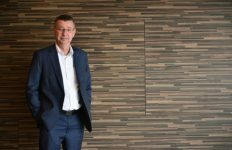 The company anticipates to be granted with EV and PHEV incentives in approaching months. In closing, Mr. Chokki invited customers to get up close and personal with Mitsubishi’s model lineup nationwide.